Javier Aguirre is involved in a second match-fixing case in Spain. 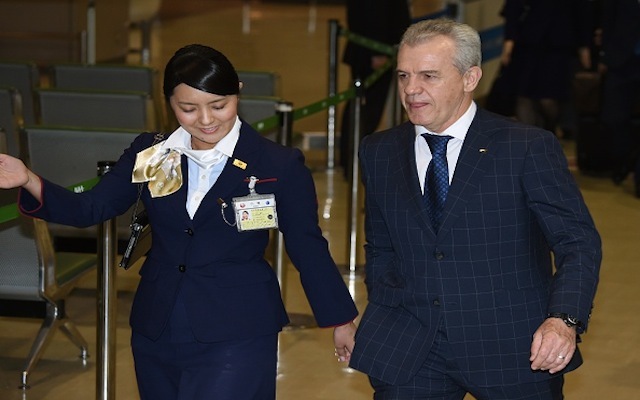 The former manager of the Mexican national team, Javier Aguirre, is facing yet another investigation for allegedly fixing a game in the Spanish league. Spain’s ‘Anti-Corruption Prosecutor’ is investigating possible match-fixing in the game between Espanyol and Osasuna in the 2013-2014 season. It is understood that Mexican defender Hector Moreno could also be implicated by the investigation. The match between Espanyol and Osasuna, which occurred on May 11 2014, ended in a 1-1 draw after goals from Diego Colotto for the hosts and Javier Acuna for the visitors. The Spanish newspaper Marca explains that Miguel Archanco, President of Osasuna, is also involved in the investigation. This is the second time the Spanish authorities has accused Javier Aguirre, 56, for alleged match-fixing. The Mexican is already one of 41 people involved in an investigation about Real Zaragoza’s win against Levante in the last game of the 2010-2011 season, a result that allowed the Zaragoza team to avoid relegation to the second division. According to investigation, Zaragoza paid Levante to lose the game. As a player, Aguirre played with Club America, Atlante, and Chivas in Mexico, as well as playing with Osasuna in Spain and the Mexican national team. In the World Cup in Mexico 1986 he played every game before being sent off in the quarter-final against Germany.